We are working with kraft cardstock this week. I love..love working with kraft!! I love how you can color on it with both color pencils and your alcohol based markers. 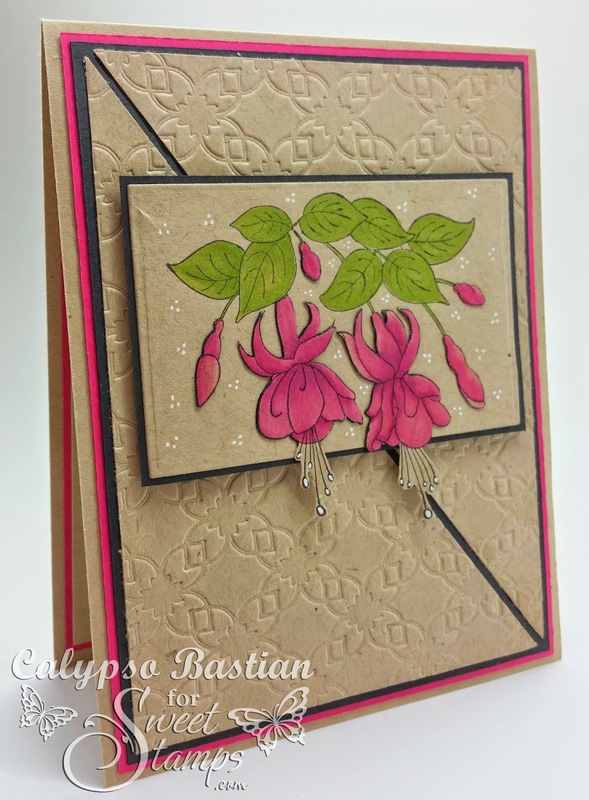 For my card today, I am using the beautiful Hanging Fuschia. I stamped the image twice on kraft cardstock using Memento Tuxedo Black ink, then colored one of the images in using my Copic Markers. I fussy cut all the colored flowers and placed them on top of the other stamped image. YES...My sweeties I did say stencils. This beauty is called: BUCKLED. 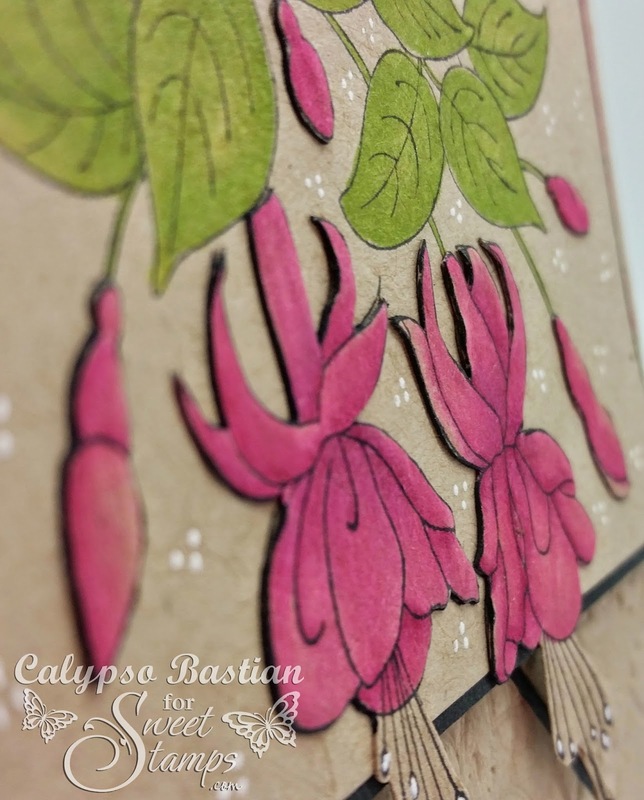 Fab as always : ) LOVE the stencil embossed background- and the flowers are just beautiful! 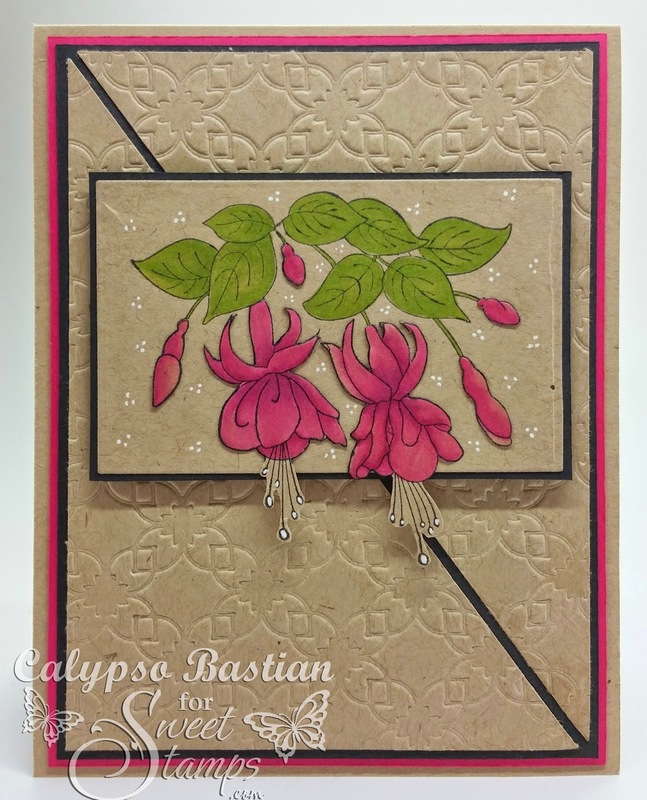 Beautiful and the pink looks gorgeous against the embossed kraft background. Thank you for sharing your art with us at The Kraft Journal No Patterned Paper Challenge this week. We hope to see you again. Beautiful card, love the image which looks great on the kraft card. 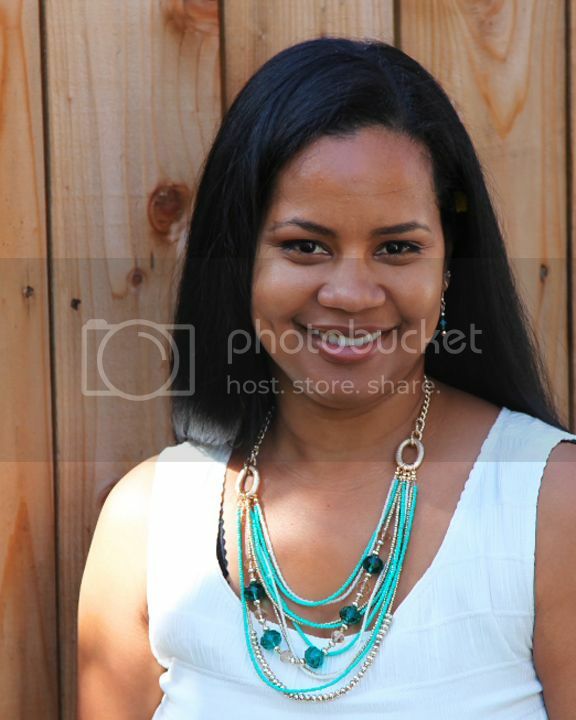 Thanks for sharing with us this month at Natalie & Amys.